The political tide has turned against toll roads in Texas, imperiling a Tomball interchange project and hamstringing frustrated local officials, while setting an ominous tone for projects to come. The Houston Chronicle reports for years, state officials relied on tolls to tackle some of Texas’ biggest traffic messes as a way to build without adding taxes. Since 2016, however, Gov. Greg Abbott and Lt. Gov. Dan Patrick have taken hard-line stances against the mixing of Texas Department of Transportation money and toll revenues. That’s caught up with the plan for direct ramps from Texas 249 to the Grand Parkway, and it has drawn ire from Houston-area officials who think Austin politicians are taking their toll takedown too far. “We are bending to blackmail,” Fort Bend County Commissioner James Patterson charged last month. The continued sidelining of toll projects could drastically alter how many local projects are built, and how quickly relief from heavy congestion comes for drivers. With tolls, supporters say, many projects can be built years in advance. Without them, even with new state funding, work could wait years. Much of the current divide stems from 2014 and 2015, when voters approved Propositions 7 and 1, respectively. The referendums combined add up to $4 billion annually to highway spending by the TxDOT. 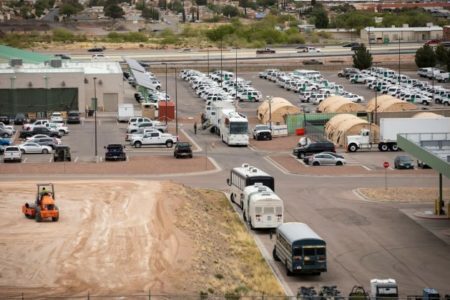 Lawmakers also ended diversions of about $600 million annually in state fuel tax funds to other uses, such as law enforcement. The money, funneled through the state’s transportation plans, can be used only to relieve congestion, perform maintenance or in specific cases lower the state’s debt related to highways. None of the money, about half the $70 billion Texas plans for roads over the next decade, can be used for transit or toll projects. Abbott and others touted the increased spending as relief from pay lanes. They’re now taking a strict view of the no-toll pledge, spiking projects that use tolls, including managed lanes in Austin and Dallas designed to encourage carpool use but available to solo drivers for a price. Use of tolls is nothing new for Texas’ major urban areas, but their proliferation irritated some who felt TxDOT’s plans simply made taxpayers give up their money in a different way. That’s led to widespread aversion to toll projects, said state Sen. Paul Bettencourt, R-Houston. So far, the hard line on tolls has affected only the Tomball-area project, which is not set for construction until fiscal 2019. Its inclusion in a list of local projects, however, held up local approvals for months. The Houston-Galveston Area Council’s Transportation Policy Council the regional group responsible for local transportation planning relented only last month and removed the project from its list. “We have essentially put it to the side for a moment,” said Alan Clark, manager of transportation and air quality programs for the regional council. Clark said not doing so would have put other projects, some of which are expected to start before the Grand Parkway and Texas 249 work, at risk. As officials approved shelving the interchange ramps, Patterson lashed out at Patrick and others, arguing they were taking too strict an approach and interfering in projects that don’t directly involve state funds. The Texas 249 work is being paid for by the Harris County Toll Road Authority and TxDOT, though the state’s share isn’t from state funds. It comes from the Grand Parkway Transportation Corp., the entity building Houston’s outer ring road. “We are calling it a TxDOT project when I do not believe it is a TxDOT project,” Patterson said. TxDOT officials in Houston, meanwhile, have carefully avoided some of the discussion in recent months, notably regarding the planned overhaul and redesign of Interstate 45 through downtown. The $7 billion freeway redo from Interstate 69 to the Sam Houston Tollway along I-45 includes so-called MaX Lanes that officials said allow for greater use of carpools and transit. Plans for the freeway project initially labeled them as managed lanes, and left open the potential for a tolling component for solo drivers. Since mid-2017, officials have said no decision on tolling, or not tolling, has been made, citing the possibility of additional state funding from Propositions 1 or 7. In Dallas and Austin, officials continue fighting for their projects, removed at Patrick’s urging from state plans. Leaders in Lake Highlands, a neighborhood in northeast Dallas, joined city officials in a plea to transportation commissioners to revive plans for managed lanes along Interstate 635. 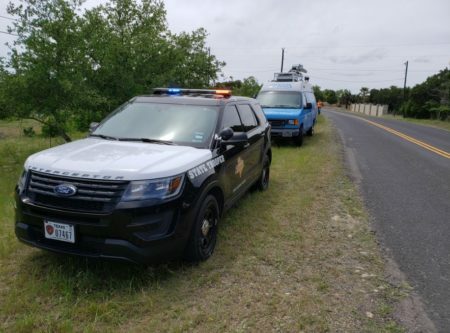 The lanes would operate similarly to the Katy Managed Lanes along Interstate 10, which offer free use for carpools and charge solo drivers for a quicker trip. “There is a big difference between a toll road and an optional managed lane for congestion relief,” Dallas resident Susan Morgan told commissioners last month. For Lake Highlands residents, the decision to hold up the project over tolls leaves them with nothing in terms of traffic relief. It’s a consideration that worries even some of the critics of toll roads, including state Sen. Bob Hall, R-Edgewood, who represents a sliver of Lake Highlands. “We have delayed this project long enough,” Hall said. A long list of projects are waiting for state money, and despite billions in additional investment over the next decade, it still isn’t enough to address the most persistent problem spots. Bugg, as a discussion exercise, asked TxDOT officials to analyze what could be accomplished by directing all the new congestion relief money — $35.4 billion of the state’s $70.6 billion spending plan — to the 100 most congested road segments in the state. The reality is the worst spots in the state would gobble up all Texas’ transportation funding, according to the TxDOT analysis. The top 100 list compiled annually by Texas A&M Transportation Institute is based on total delay times along the roadways. On the current list, 92 of the most congested segments are in five metro areas — Houston, Dallas, Austin, San Antonio and Fort Worth — with 38 of those in the Houston area. 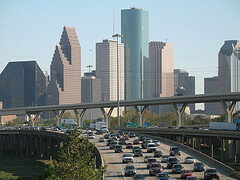 The five areas have all of the top 50 most congested roads, topped by some familiar stretches, such as Loop 610 in Uptown, Interstate 35 in downtown Austin and Interstate 69 from the Loop 610 to downtown Houston. TxDOT estimated costs using current and future plans and programs. 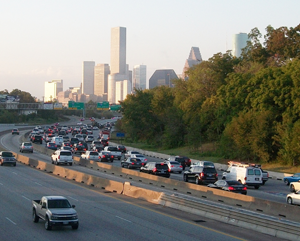 Tackling the top 25 most congested roads in the state — which includes 12 in the Houston area — would cost $27.7 billion, while the next 25 segments would cost $10.7 billion. With many needs and still not enough revenues to promise everything to everyone, Bugg said transportation officials still face challenges, even with more to spend.